The history and taming of a local river over the centuries. A legend (probably false) about the Norman Knight who invaded Ulster in the twelfth century. Colm continues to chronicle the inhabitants of the village streets on Census night 107 years ago. The life and legacy of a Belfast lawyer, strongly associated with Ardgless, and his cultural and historical interests. New road signage helps preserve townland names and memories. A tribute to a founding member of Lecale Historical Society. 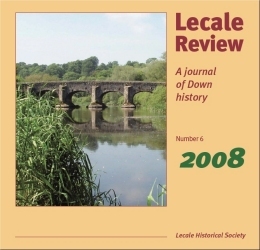 Review of four historical publications connected with County Down.